Receive our “Take a break” Kit with our Force Vitale Mild Exfoliating Refiner and Hydra Soothing Mask as a gift with orders over 400 CHF on our website. 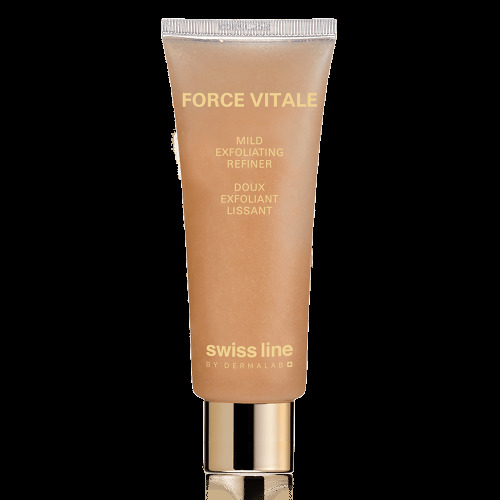 Force Vitale Take a Break Gift Set contains:HYDRA SOOTHING MASK (75ML) MILD EXFOLIATING REFINER (75ML) AQUA-VITALE DE-PUFFING EYE GEL TRAVEL SIZE (5ML) AQUA-VITALE SERUM24 (3ML) AQUA-VITALE GEL-CREAM (3ML) TAKE A BREAK POUCH This gift set offers saving of 55 CHF. Impress and pamper your loved ones with our Cell Shock fashion holiday kit, a true glamour for the festive season. We would like to welcome you to try shopping experience with us and offer you 10% off your first order when you sign up to our newsletter.